We’re a few weeks into the new year now – are you still sticking to your healthy eating resolutions? Sticking to a healthy eating plan can be difficult (those cookies in the pantry look too delicious!) but it’s so important for overall health. Although I don’t always make the healthiest diet choices for myself, I make sure that my son eats a balanced diet high in vegetables and fruit. I know it’s important for me to set a good example for him so I’m working on my snack choices too. Your child can write his or her name on the bottom of the form along with a date for the week (example, Week: starting January 18, 2016). Across the top of the free printable you’ll see the days of the week. Display this printable in a place that’s easy for your child to see & reach. We have ours on the fridge. Tracking healthy choices is simple. 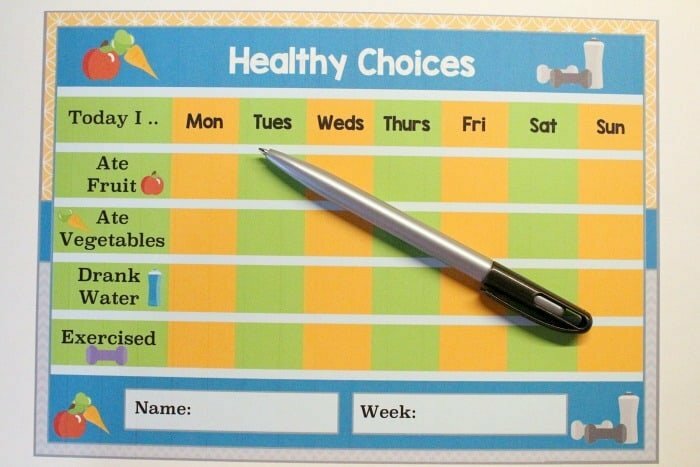 You can use a marker to check off every time your child makes a healthy choice throughout the day. 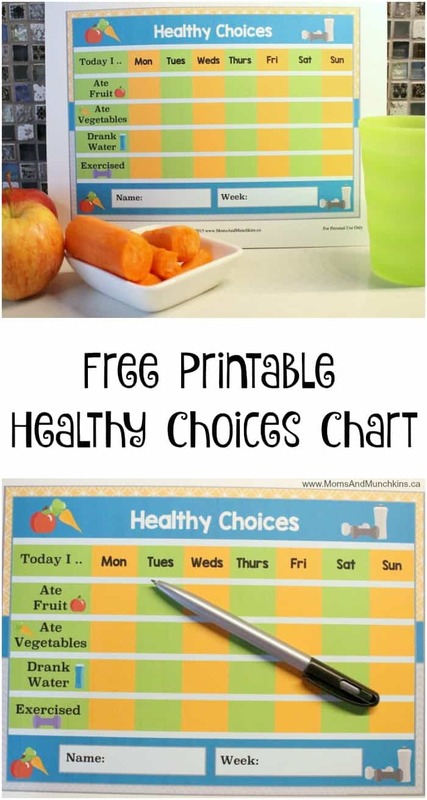 For example, each time your child eats a piece of fruit during the day, they can make a checkmark on the chart. If you can find small stickers, you can use stickers instead of a pen. You can offer a reward at the end of each week if you’d like. 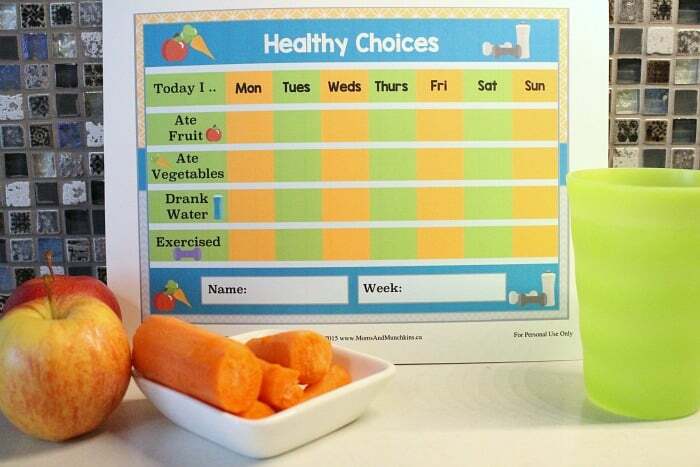 It’s extra motivation for your child to make healthier choices every day. Making healthy choices can also reduce your chances of catching a cold or flu this year. No one wants to miss out on special family vacations, birthday parties, or special events at school because they are sick! Getting your flu shot is an important step in protecting yourself and those around you. You can go to a Shoppers Drug Mart pharmacy to get your flu shot from an injection-certified pharmacist – no appointment required! Simply follow the steps in the entry form below for a chance to win! *Disclosure: I was compensated for this post; however, all opinions expressed here are my own. Thank you to our printable designer Wendy plus Erin Bradley Designs for the clipart. Thanks for sharing this. My daughter is going to love this.